Did you see the Red Arrows here in Oman? It seemed like everyone was at the beach in Qurum yesterday (3rd October 2017) to see the RAF Red Arrows perform here in Oman. The display was as ever, incredible, and gasps of delight were heard from the large crowd that had gathered. 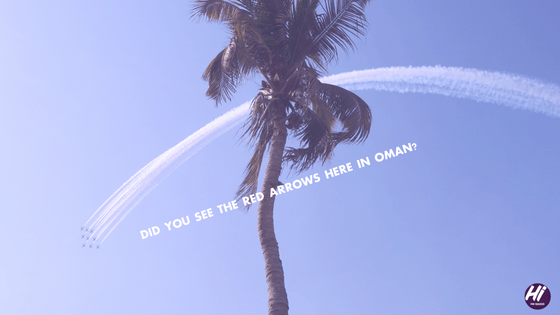 The Red Arrows stopped off here in Oman to perform as part of their tour and we're glad they did as it really was brilliant to see clouds of colourful smoke across the blue skies of Oman.